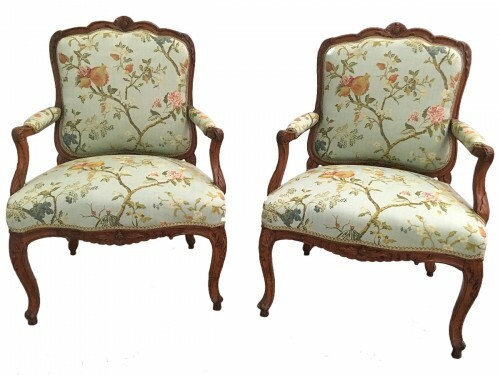 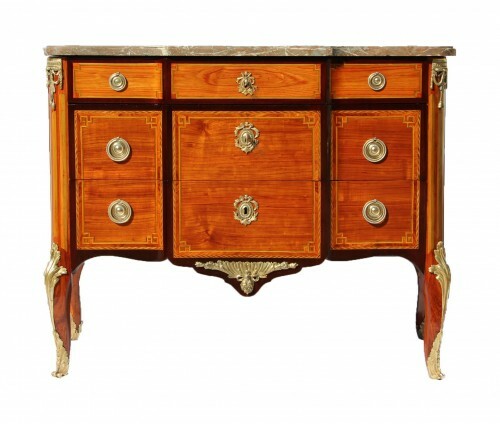 A small dresser of the Louis XV - Louis XVI Transition period in rosewood marquetry in frames of amaranth. 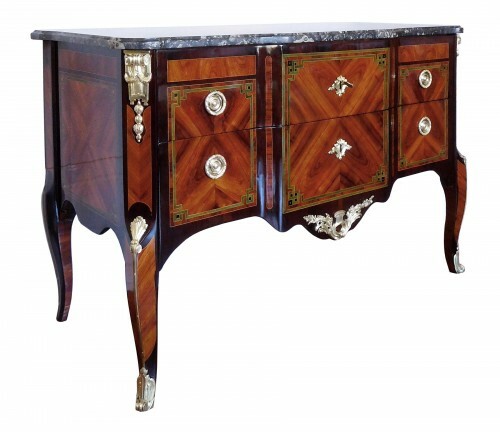 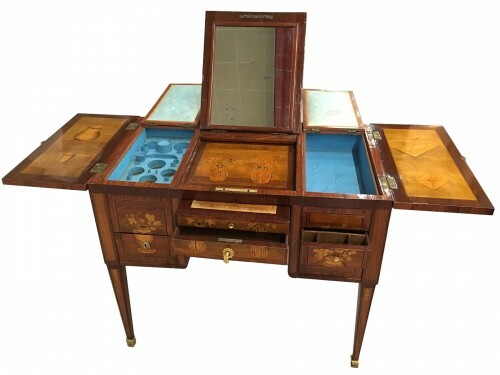 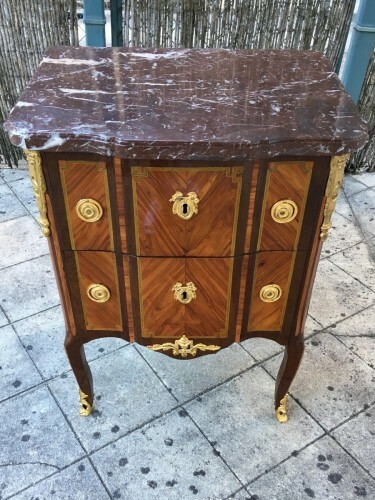 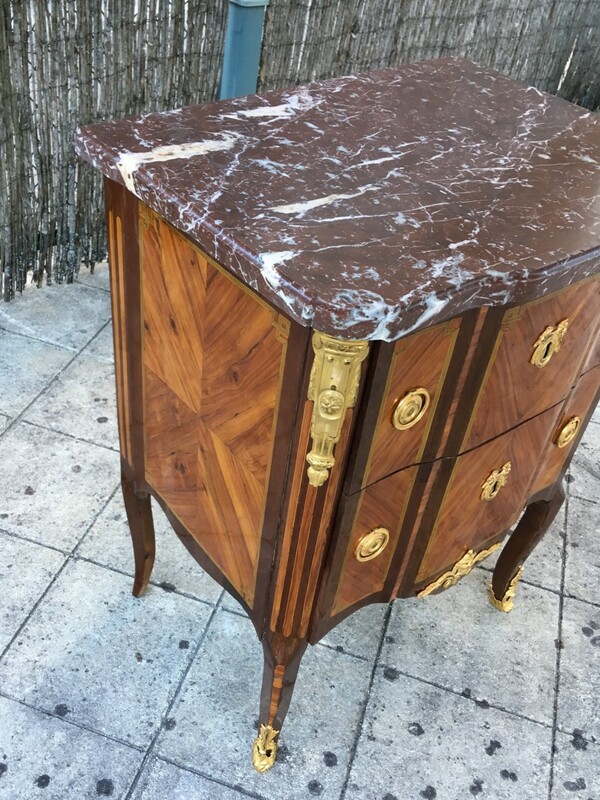 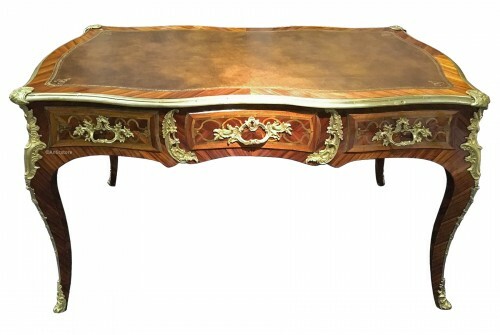 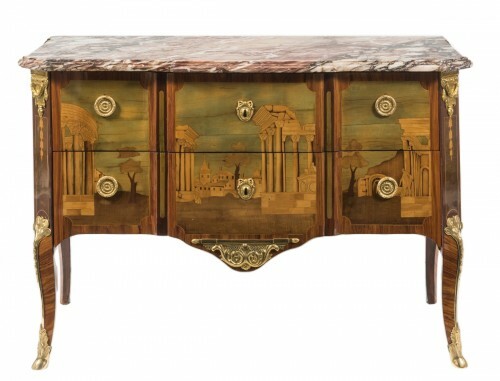 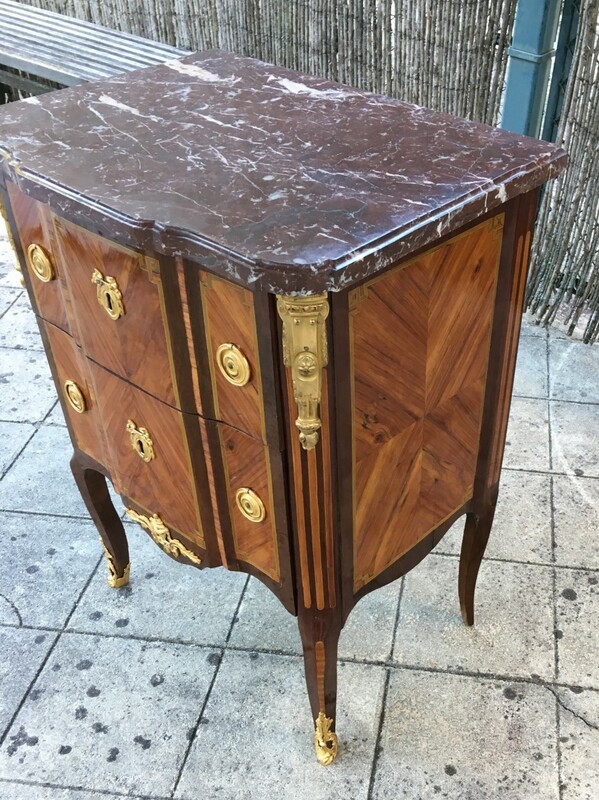 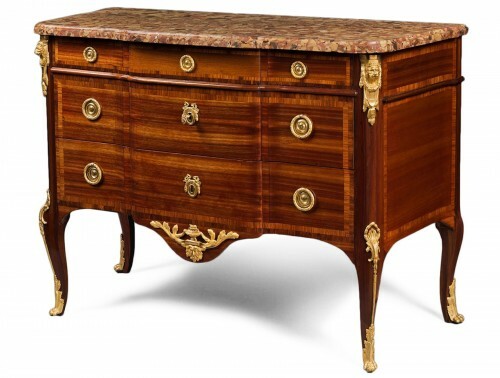 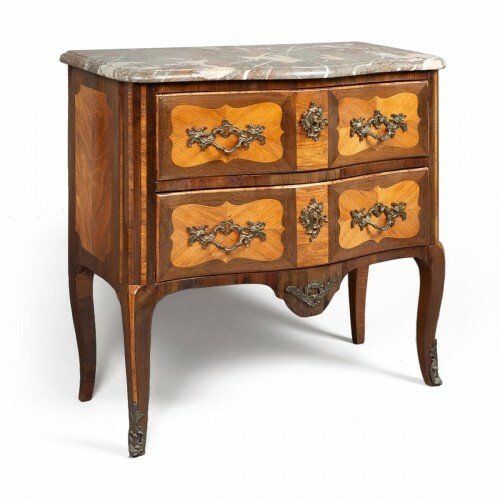 It opens with two drawers without cross and is topped with a Royal Red marble. 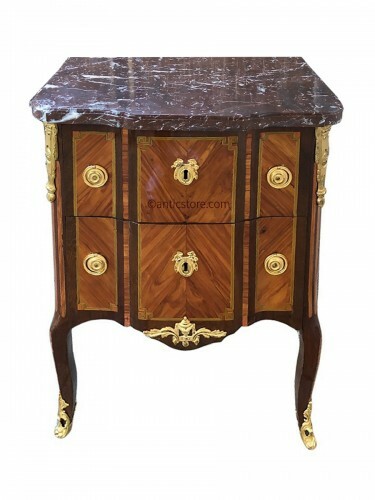 It is decorated with carved and gilded bronzes.